During the ’80s and ’90s, the Family Computer was far from being the only Famicom-related system on the market. Nintendo Co., Ltd., allowed Sharp and others to develop their own units. Sharp created the Twin Famicom, which combined the Famicom and Disk System into one console. Sharp also developed the C1, which was a combination TV and Famicom, and the Titler, which was a combination video subtitler and Famicom (the weirdest console ever, but it’s the only one with S-video). In addition to Famicom systems, companies, like Nintendo, released what they called “systems” but where really just sophisticated attachments for the Famicom. Nintendo released things like the 3D System, which allowed gamers a way to view certain games in 3D graphics. After Nintendo’s patent on the Famicom ran out, Famiclones — or fake Famicom systems — began popping up for sale. 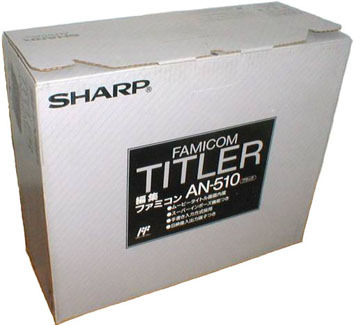 The Sharp Titler is one of many Famicom systems. The Sharp C1 was a TV with a Famicom built into its base, and unlike the Famicom and Twin Famicom, it had a controller you could plug into the base. Everywhere in Japan in the '80s and '90s were karaoke clubs. So, it's not surprising that one enterprising game developer decided to create a karaoke game. The Famicom 3D System is a fascinating accessory. It was designed to give the Famicom gamer a three-dimensional experience during gameplay for specially programmed cartridges. The StudyBox, released by Fukutake Publishing Co, Ltd., was much like a tape player for the Famicom. The accessory was small enough to fit on top of the Famicom. The Data Recorder is pretty much the typical tape player. The device also allows you to save the data you've created using Nintendo BASIC. The FamicomBox allowed gamers to test out up to 15 different Famicom games while gaining an opinion of the overall quality of 8-bit Famicom video gaming. You hit the Start button and the game begins the process of "writing" -- as the Fami-Corder calls it -- the game onto the blank cart. It's that easy.